In case you missed my first post, I'll recap it for you: We here at Addicted2Print are starting a new series called "The Past and Future" where we look back at a specific artist's work and spotlight our five favorite prints from their career, "The Past," and then provide a list of five prints we hope they tackle somewhere down the line, "The Future." In light of his upcoming gallery show, I decided to take a look back at Kevin Tong's work from over the past few years. In this installment, I'll be listing five prints I hope to see Kevin tackle in the future based on my own personal preference what I think would fit his style. If you missed my "Past" piece, you can find it here. Let's get started! Here's an easy one. We know Mondo has/had the license, as there have been prints released by Mike Mitchell and Dan McCarthy. Both prints did a good job representing the film. Mitchell used the iconic image above as inspiration, while McCarthy used the scene of ET departing as the template for his piece. However, as much as I like those pieces, I think Tong could add something completely new to the mix. Think about how well he conveyed the relationship between the Giant and Hogarth in his Iron Giant Print -- a friendship that closely resembles the relationship between Elliot and ET. In prior Mondo prints, that's an element of the film that hasn't been focused on, and this fan is hoping it is in the future. As with ET, we know Mondo has/had the license. As a result, the film has received the alternative print treatment by the likes of Martin Ansin and Olly Moss. But have you seen Tong's Gravity print? If you have, you know that it's proof that he can perfectly convey the loneliness and desolation of space. Although Moon's themes go much deeper than that, it is still an important aspect of the film, especially before we know the more sinister antagonist that is revealed later. Tong would make a great Moon print that focused on the space station and the moon, rather than Sam. It could address the loneliness aspect of the film, as well as the juxtaposition between the infinite nature of space and the tiny space station on the moon. I know, I know; he already did this one! And not only did he tackle it before, but it landed on my Ton best of list at #1. Hear me out though. Tong's first piece was a beautiful recreation of many themes in the film. But what if he created a companion piece in the same style depicting Joel and Clementine as adults. 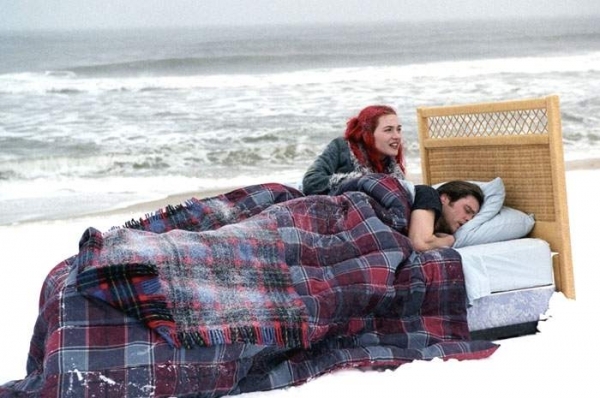 Maybe they are on the beach or the train, or the iconic scene of them lying outside on the ice. There is just so much wonderful imagery in the film, and he did such a good capturing some of it in his first piece, that I'd love to see more. Maybe that's greedy or maybe it would take away from the first piece for some people. And I get that. I would just love to see what else he has up his sleeve. In trying to include an upcoming film on the list, I wanted to pick something that was a little outside the box. The above image, and the imagery from the stills and trailers made me choose the Grand Budapest Hotel. I would love to see the atmosphere conveyed in the poster above with Kevin's unique style. Add a less muted color tone and some of the characters from the film, and it could work very well. 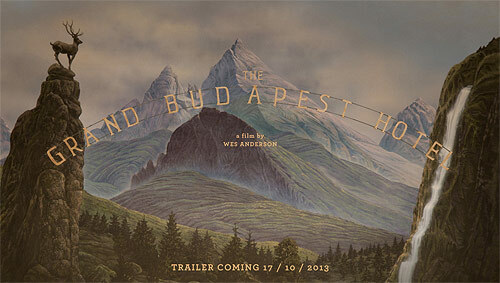 We did get a Jay Ryan Moonrise print last year, so another Wes Anderson print is always possible! Drum-roll please (waits for drum-roll that never occurs): we've reached number one! Wall-E is such a fantastic film, and one I've been hoping Mondo would release a print for ever since they started releasing Disney/Pixar prints. However, as much as I like what Tom Whalen has done with many of those films, I'd really love to see Wall-E interpreted using a different style, with a bright color pallet. Admittedly, we've had two solid Wall-E gallery pieces, one from Bruce Yan and the other from Fringe Focus, which were both released last year. But I'd like to see the rich colors from the film represented in the piece, and I think Tong is the man for the job. An image depicting Wall-E and Eva in space, although somewhat obvious, is screaming to be made. The images from the film of the two of them drifting through space are so well crafted that you could practically print them out, frame them and hang them up right now. 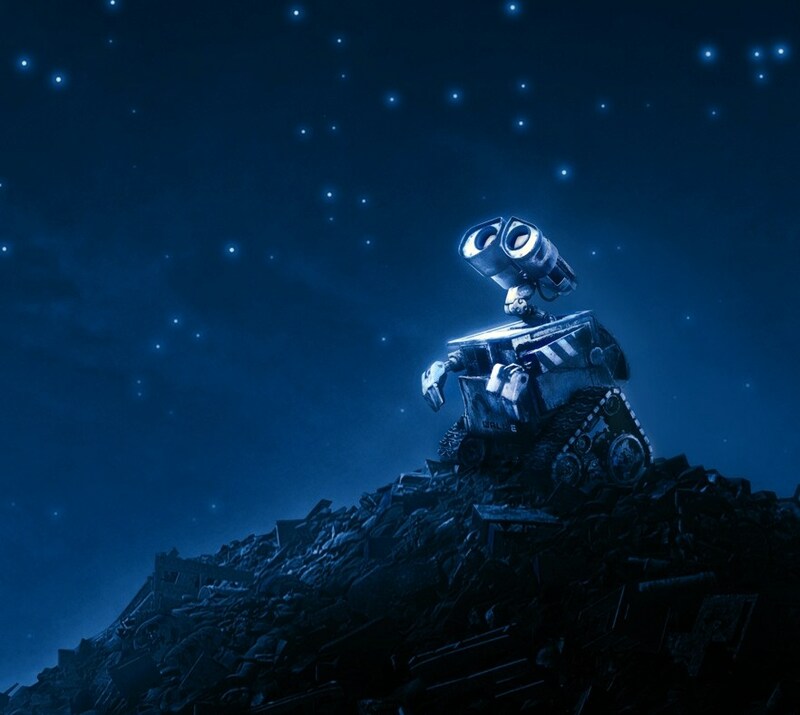 There's so much wonderment seen through the eyes of Wall-E, whether it's leaving Earth or meeting Eva, and I hope we get to see that reflected in a print. Tong's ability to craft eye popping imagery through the use of blues, oranges and reds, is a unique talent. He often will make a four color screen print look like a 10 color piece. Take a look at his Watchmen print up close, and see how much of a head turner it is in person. The metallics pop off the page and blues used are extremely vibrant. That type of style, mixed with the heart shown in his Eternal Sunshine piece, would work perfectly with Wall-E . Here's hoping we get to see it one day. UPDATE: So, after writing this piece, my wish came true and a Wall-E piece was revealed by Kevin Tong. It will debut at the Disney show, and you can check it out on A2P's preview of the show (it's also the preview photo for this article). It's close to what I imagined, but still not as powerful as I had hoped. Regardless, I hope I can still manage to pick it up anyway. It's always hard to gauge from a Jpeg image how the print actually looks in person. Now, I've given you my lists, let me know what you think should be included!